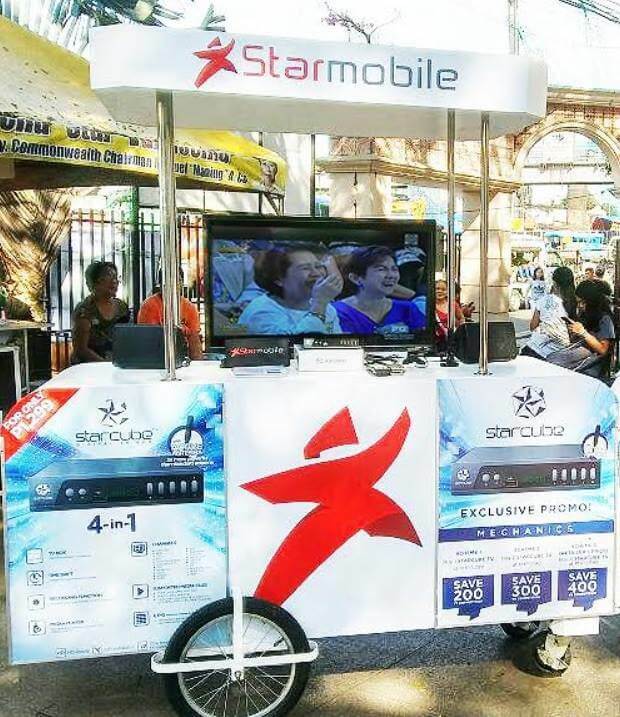 STAR Inc., parent company of Starmobile, officially released the first StarCart which is a Kiosk-On-Wheels. It will function both as a demo and sales booth. We are proud to have pioneered yet another retail innovation. Since late last year, we have actively thought of ways to bring our products closer to more Filipinos and StarCart will complement our existing efforts quite nicely. Chen is also referring to STAR Inc.'s bold decision to make its devices available in sari-sari stores and loading stations late in 2017. They are utilizing their strong ties with regional load retailers to establish this new approach as a legitimate and viable business model. To date, StarCart is our most flexible sales module as it can be deployed almost anywhere such as concerts, basketball games, school gatherings, and other outdoor activities with minimal effort. StarCart is able to offer the entire range of STAR, Inc.’s portfolio–Starmobile phones and tablets, JUMPU Mobile Accessories, Starcube Digital TV Box, and TP-LINK network devices–whenever and wherever necessary. StarCart transactions are all cash-basis only.